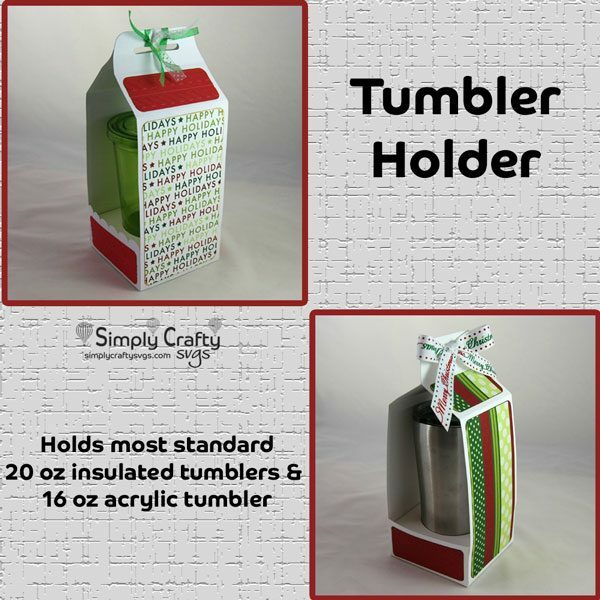 Holder for 16 or 20 ounce insulated tumbler. See product details for exact size. 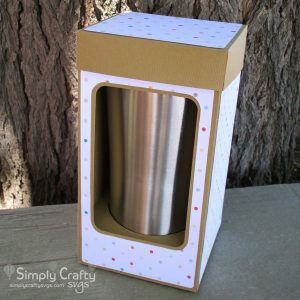 Make a box to hold all those personalized hot and cold tumblers with the Tumbler Holder SVG File. 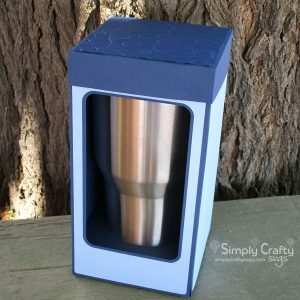 The holder will fit 20 ounce Yeti, Ozark or other similar steel insulated tumbler no larger than 3.6″ diameter and about 7″ tall. Make sure you check the size of the tumbler to ensure it fits. 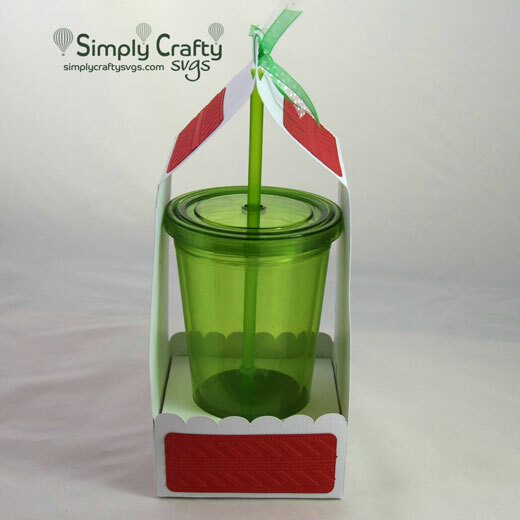 It will also fit a standard 16 ounce acrylic insulated tumbler with straw. File includes actual holder, with panels for bottom sides, long sides and handles, and 2 different inserts for different size tumblers. It is not sized nor strong enough for a 30 ounce insulated tumbler. 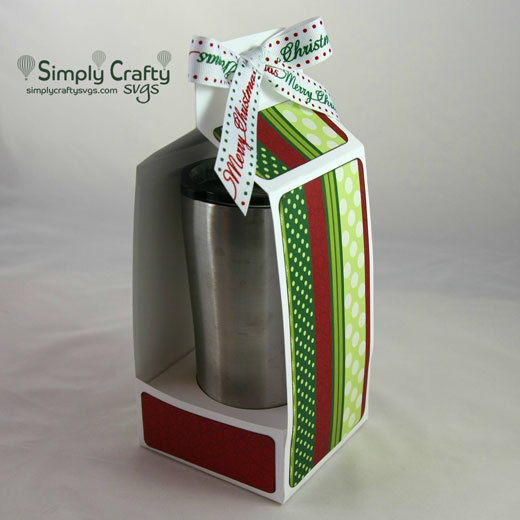 You need (3) 12″ x 12″ cardstock sheets just for the holder. SVG designs can also be cut on letter-size cardstock. 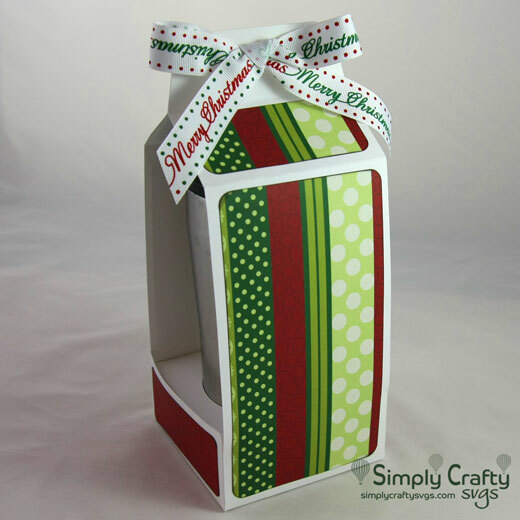 One sheet of letter-size or larger cardstock or paper is required for the optional panels 80 lb card or heavier is recommended to make sure box will adequately hold the tumbler. See product links below. 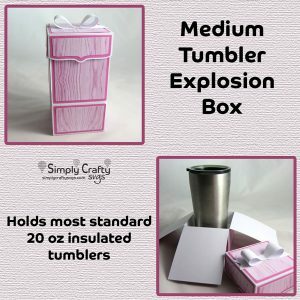 If you are looking for a box for a different size tumbler, click here to view the Tumbler Box Size Guide, which shows all the available tumbler box SVG files currently available. This is a digital file, not a physical product. Upon checkout, you will be granted access to download the SVG file in ZIP format. See included PDF file for SVG file and assembly instructions. Video assembly is also available. File includes SVGs with solid scorelines for compatible die cutting machines (i.e. 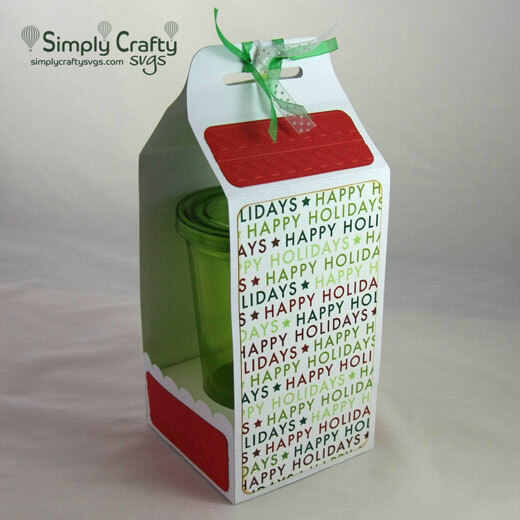 Cricut Explore series and Sizzix eClip2)..